The objective of this study was to investigate the impact of commercial MLF starter cultures on wine composition, the subsequent aroma and flavour characteristics and the potential impact on consumer preferences. In wine style research there is a distinct focus on investigations into ways of manipulating aroma, taste and mouthfeel through vinification techniques to obtain a desired style. In view of the fact that aroma and flavour determine consumers’ sensorial experience of wine, these may impact on the wine quality and subsequent consumer acceptance of and preference for a product. The factors that may impact on wine aroma and flavour should therefore be studied carefully so that they may be used to best effect. While considerable research has been conducted into the contribution of yeasts to the aroma and flavour compounds in wine, this is not the case with lactic acid bacteria. In fact, until recently, studies were mostly limited to a few selected chemical components such as diacetyl and dicarbonyl compounds. The nature and concentrations of aroma compounds that are formed in wine as a result of lactic acid bacteria remain largely unknown. The industry’s practice of using commercial starter cultures in various inoculation strategies for malolactic fermentation (MLF) makes it important to properly investigate the full potential of the lactic acid bacteria, also in terms of wine style development. MLF is used for the fermentation of red wines and also certain white wine styles. The process is mainly characterised by the conversion of malic acid to lactic acid through the metabolic activities of the lactic acid bacteria. This usually results in acid stabilisation, but also impacts on the flavour and texture of wine. Research shows that lactic acid bacteria have a variety of enzymatic activities with the potential to change the composition of volatile wine compounds. One can therefore expect the metabolism of lactic acid bacteria to influence wine aroma and therefore the choice of starter cultures is important. Various other factors such as grape cultivar, concentrations of flavour precursors in the grape juice and technology that is used during fermentation and wine maturation, may impact on the population dynamics and activities of the lactic acid bacteria and these aspects should therefore also be borne in mind. Although it is obvious that MLF cultures may play a role in bringing about desired style changes, there is little information about the spectrum of sensorial contributions made by the various commercial starter cultures that are being used. In view of the fact that Oenococcus oeni (O. oeni) is commonly used in the industry for MLF, the focus of this study was on the flavour contribution of four commercial O. oeni MLF starter cultures – Enoferm alpha and Lalvin VP41 (Lallemand, Stellenbosch, South Africa) and Viniflora oenos and Viniflora CH16 (CHR Hansen, Hørsholm, Denmark). 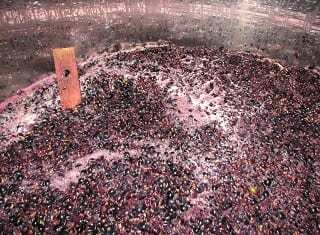 Small-scale vinification (20 ℓ) of Shiraz wine took place. A control wine was also made, with MLF being prevented by applying SO2 to the wine directly after completion of alcoholic fermentation. Subsequent to fermentation the wines were analysed for chemical composition using gas chromatography and mass spectrometry, as well as tested sensorially by a tasting panel that was specially trained for this research project. The task of the panel was to identify aromas and flavours through Descriptive Analysis (DA), as well as to quantify the intensities on a line scale. During the sensorial research a lexicon was developed that contains nine aroma, six taste and two mouthfeel characteristics which are specifically applicable to the evaluation of the effect of MLF on wine. This work made an important contribution to the establishment of a panel that is able to identify the finer nuances of MLF related sensorial characteristics in wine and furthermore to evaluate these quantitatively. The effect of the O. Oeni treatments on the sensorial profiles of the wines differed noticeably from the profile of the control wine where no MLF took place. 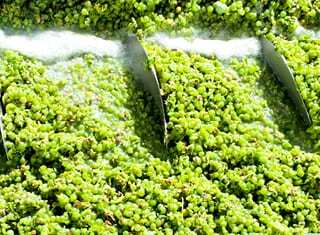 Furthermore, there were very obvious differences between the four O. Oeni starter cultures that were used in the vinification process. Characteristics that could be identified by the sensorial panel were aromas and flavours such as a butteriness, fruitiness, nuttiness, yoghurt/buttermilk flavour, as well as smoothness and mouthfeel. 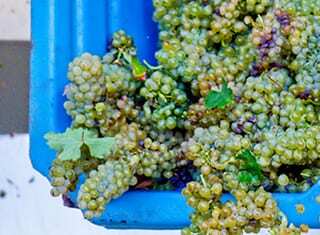 It was clear that two of the strains, namely Viniflora CH16 and Lalvin VP41 V, gave rise to wines that were more fruity, whereas Enoferm alpha and Viniflora oenos resulted in a more buttery and yoghurt/buttermilk flavour. The results of the research clearly indicate that lactic acid bacterial strains may impact significantly on the aroma and flavour of wine. 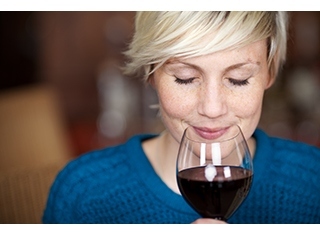 The results of the study are important to the wine industry because they illustrate and emphasise the potential contribution of different MLF cultures to wine aroma and flavour, and the potential to influence consumer preferences. Garlick, J. MSc (Wine Biotechnology), March 2013. Bioprocess monitoring and chemometric modelling of wine fermentations. Malherbe, S., Menichelli, E., Du Toit, M., Tredoux, A., Muller, N., Næs, T. & Nieuwoudt, H.H., 2013. The relationships between consumer liking, sensory and chemical attributes of Vitis vinifera L. cv. Pinotage wines elaborated with different Oenococcus oeni starter cultures. Journal of the Science of Food and Agriculture 93: 2829 – 2840. Malherbe, S., Tredoux, A.G.J., Nieuwoudt, H.H. & Du Toit, M., 2011. Comparative metabolic profiling to investigate the contribution of O. oeni MLF starter cultures to red wine composition. Journal of Industrial Microbiology and Biotechnology 39(3): 477 – 94. Mtshali, P.S., Divol, B., Van Rensburg, P. & Du Toit, M., 2010. Genetic screening of wine-related enzymes in Lactobacillus species isolated from South African wines. Journal of Applied Microbiology 108, 1389 – 1397. This research was funded by Winetech and the final report of project IWBT-B 08/10, “Establishment of the metabolic profiles of lactic acid bacteria”, may be downloaded at http://www.sawislibrary.co.za/dbtextimages/NieuwoudtH3.pdf. – For more information, contact Hélène Nieuwoudt at hhn@sun.ac.za.